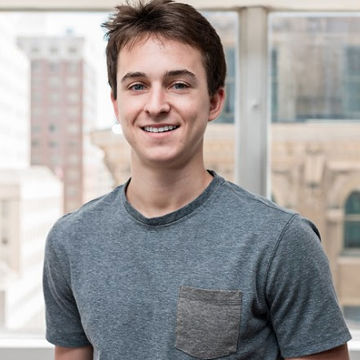 Trey Herman was Fooda’s Software Engineering Intern during Summer 2017. In this post, Trey describes his experience as a Fooda intern. My summer working at Fooda has been an incredible experience that has challenged me and allowed me to enhance my skills and talents at a rapid rate. I had the opportunity to contribute features to the Android application that Fooda consumers use to order their daily meals. My contributions to Fooda’s Android application started on day one, where I built a feature that asks users to rate us on the Google Play store. We rolled it out to users just a couple weeks ago, and it’s been awesome to see the results that this feature has delivered for us. The rating for our Android app has increased nearly a full star since the release. So if you have an Android phone and Fooda in your office, be sure to answer “Yes” when you’re asked if you love Fooda! As I’ve continued to learn and grow as an Engineer, I’ve been able to pick up more and more responsibilities. We have been in the midst of a large refactor of the Android application, which has given me a great chance to understand the code base better, along with what we are trying to accomplish with these changes. It has been extremely valuable to have the opportunity to work with so many talented people who I can ask questions and learn from during my time here. It’s been great to get my first taste of being on a software development team, and it’s been really unique to witness the integration of all the different platforms and services that Fooda provides and uses. Overall I am very grateful for the time I have been able to spend at Fooda, and am excited to have the chance to continue working here full time. It’s been a unique opportunity to combine my two biggest passions: software and food. I can’t wait to see what lies ahead in the future. Editor’s note: Trey was offered a full-time position after his summer at Fooda, and he accepted!